Singer Ariana Grande and SNL comedian Pete Davidson have called off their whirlwind engagement after five months of being together. As per reports, things turned sour between Ariana and Pete post her ex-beau Mac Miller’s death. According to a source, while Ariana, 25, and Pete, 24, have acknowledged that ‘this was not the right time for them’ but the final nail in the coffin of their relationship was Mac Miller’s fatal drug overdose. The source further stated that the couple has love each other but they are over romantically. While fans are not shocked by the end of this romance, multiple reports claim that Ariana has been under enough stress to break someone down.In fact, Ariana told a fan during a one on one conversation that ‘she has been through hell’. Recently, the singer even took a temporary hiatus from her music projects to concentrate on herself. Since last year, ‘God is a Woman’ singer has been on the ‘brink’ by being involved in two different failed relationships as well as by facing the aftermath of May 2017 Manchester terror attack. If this was not enough, post Ariana’s break up with Mac Miller, trolls started targeting her for being the reason for Mac’s state after the rapper crashed his luxury SUV into a pole while driving under influence. Sources claim that was the start of the young singer’s ‘dark phase’. After Mac’s untimely death Ariana realized that she could not fully be invested in her relationship with Pete Davidson and also that she was rushing into marriage by getting engaged way too fast. Reportedly, Pete Davidson popped the question by presenting a $100,000 pear-shaped diamond ring to Ariana Grande within just four weeks of being together! The couple even moved in together into a swanky $16 million apartment in Manhattan. 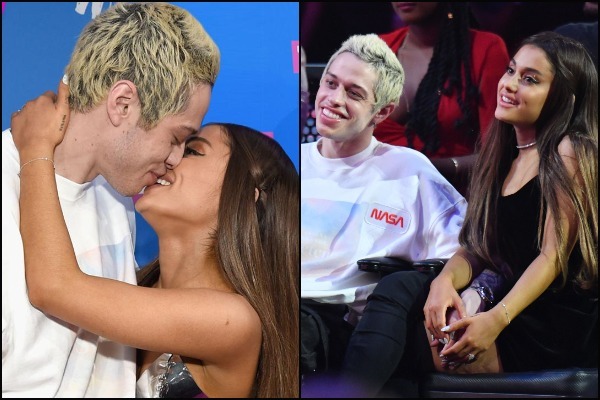 While we are sure that their split is incredibly hard for them, sources claim that Ariana Grande and Pete Davidson still have not given up hopes of rekindling their romance in the future.